It's good, every now and then, to review some of the basics that are critical in developing a good composition. If you have a tendency to think, when you paint, mostly in terms of the subject, and not so much of the space around the subject, revisiting the concepts of negative space will help your painting enormously. 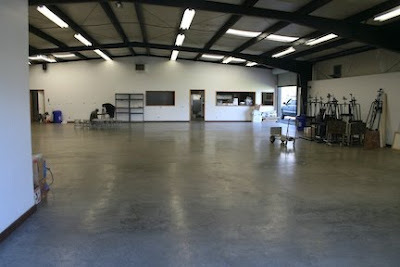 And if this is new to you, you will be amazed at how an understanding of negative (and positive) space will change the way you see – and the way you paint. 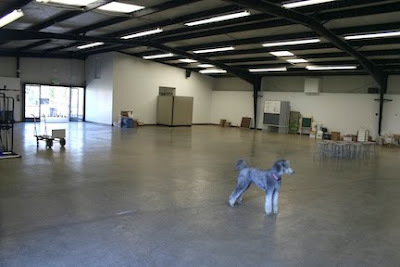 Here are two posts from 2010 on negative space that will help. Winter is a wonderful time to practice seeing negative space. 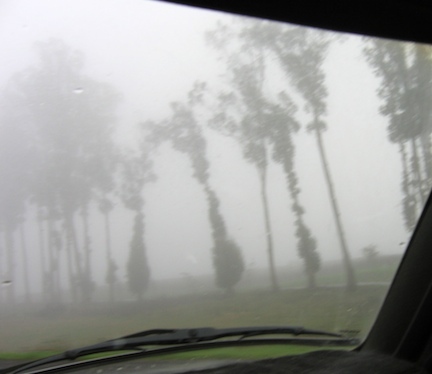 Take a look at the shapes of trees in fog – study the shapes of oak trees or grapevines without their leaves. 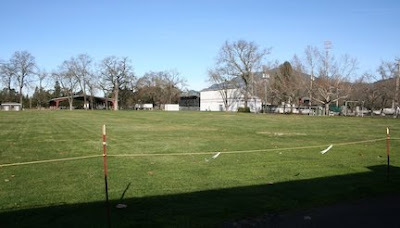 Notice the shapes of the trees and vines themselves – and notice the spaces around them. In a painting, you can use the negative space to shape the positive space in ways that make both work better. The painting is finally beginning to come into its own. Here, I've worked on the edge of the box behind the left apple, thinned the vertical charcoal line, and brought a pale apricot-ish color into the background on the right. I've also brought more yellow into the background on the left, evening out the color somewhat. I've used scumbling extensively. (To see a scumbling demonstration, see "Scumbling video lesson with Jan Blencowe.") 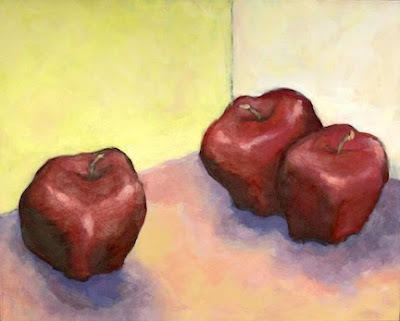 Not only have I used it to soften the shadows under the apples (I've also brought some of the red of the apples into the shadows), but I have also used it to soften the colors of the apples themselves, as well as their highlights. On the apples, I rubbed the paint around with the edge of a paper towel (and used my fingers - but please, use the paper towel - it may be less expedient, but it's just as effective, and much safer). Where will the painting go next? When a painting gets to this point, it's wise to step back and consider well before each step – one little brush stroke may be all it needs. In my dialogue with the painting, my job here is to listen well. It may take the painting a while to speak to me, so need to sit and look and listen for as long as it takes. I'll let this painting tell me where it wants to go next – but I think I'm likely to tone down the intensity of the yellow in the background. 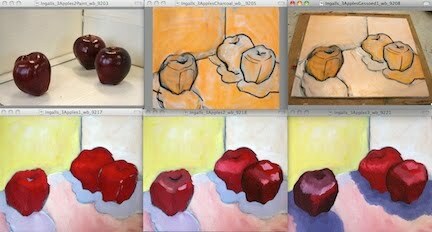 I may also bring some layers of glazing over the apples - but we'll see. These apples have, for me, had specific personalities and interrelationships since I redrew them in charcoal, leaning them in directions slightly different from reality. 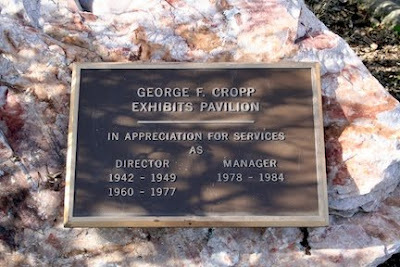 They've also had a title, since soon after I began blocking in the color – which sometimes happens for me in a painting. New Kid in Town seems to sum up the sense of an outsider approaching a pair, with each apple in the pair leaning in or away in different relation to the "new kid." These later stages of the painting are where the personalities of the apples are really seeming to emerge – but where I can take them now depends on the big shapes of the composition underneath, and getting the composition right in the early stages. Here, additional work on the highlights on the apples and their stems really brings the viewer's eye in to these focal points. I've also corrected the edge behind the apple on the left. The increased intensity of the yellows are now crying out to me for change. With the details on the stems, the vertical line of the charcoal no longer works for me – so these two things will probably be the first things I develop next. 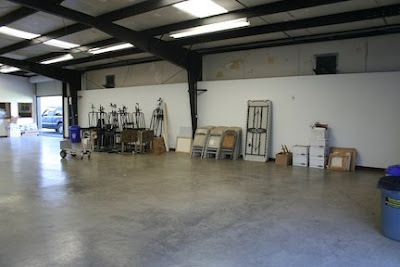 Saturday, February 5th, was Moving Day for the Calistoga Art Center. 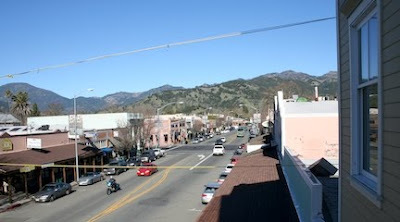 The previous two days were a flurry of packing, and Saturday arrived with record warm weather. Board members and volunteers came to help, and John Merchant sent over five men and a truck from Indian Springs. 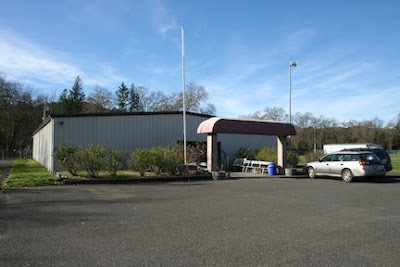 The new Art Center is located at the Napa County Fairgrounds, in Calistoga, in the Cropp Building, the exhibits hall used during the fair for crafts and baking exhibits. The Art Center will move out during the fair to accommodate the exhibits, but the rest of the year now has a big, open 3,000 square feet for new class and workshop space. 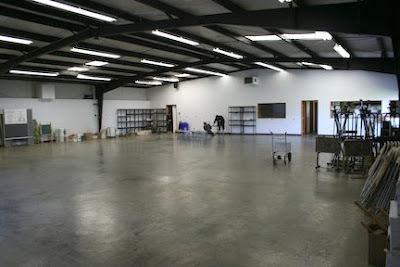 Looking back towards the entrance - it's a big space! Voila! 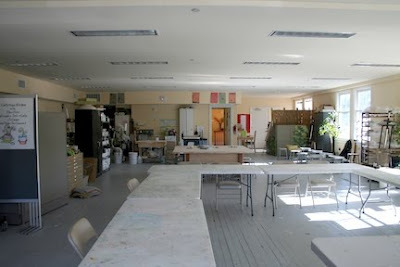 A space for making art! 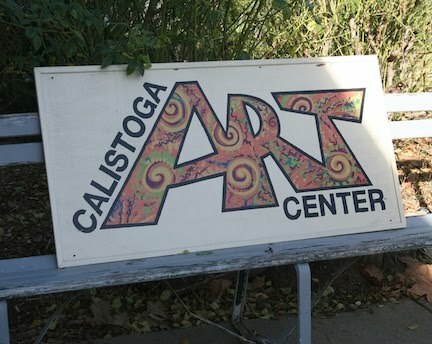 It was a good day – and now the Art Center is open for a new session of classes in its new location, at 1435 North Oak Street, Calistoga, California! 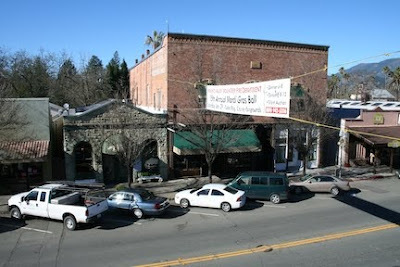 Here's a link to a good map of how to get there. 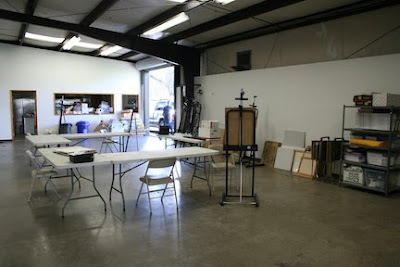 You can get a schedule of classes at www.calistogaartcenter.org. If, wherever you go, you keep your eyes open to the possibilities, you will find yourself discovering beauty everywhere. 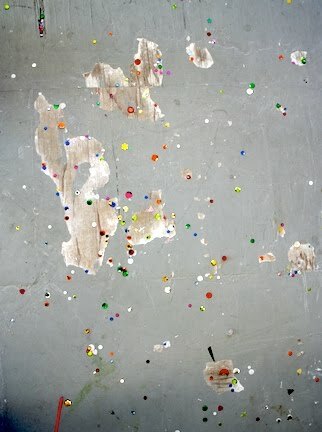 This photo puts into a composition the marvelous disarray of sequins on the wooden floor of the (now former) Calistoga Art Center – cast there by an enthusiastic toddler (and cleaned up, after our moment to appreciate the arrangement, by Molly Francisco, the Mommy and Me class teacher). Yes, it's true – art is everywhere. I hope you'll take a moment to savor it before you clean it up. 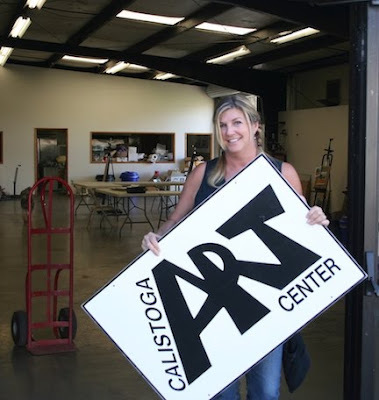 For the last year and a half, the Calistoga Art Center has been on the second floor of the historic and lovely Masonic Building in Calistoga. 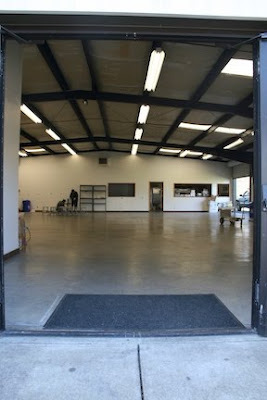 I took these photos just before our move to the Art Center's new space, in the Cropp Building at the Napa County Fairgrounds. 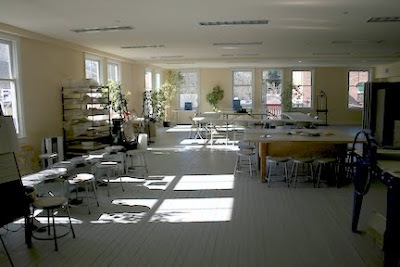 While indirect lighting is better for painters, the light and view have been lovely. Some students have used the strong light and shadow in still life paintings. 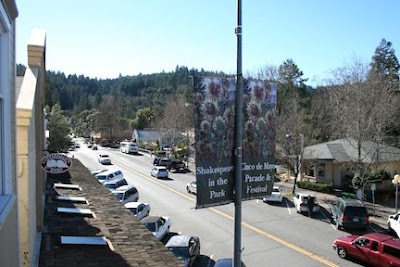 Views from the balcony…. It's been a wonderful year and a half. 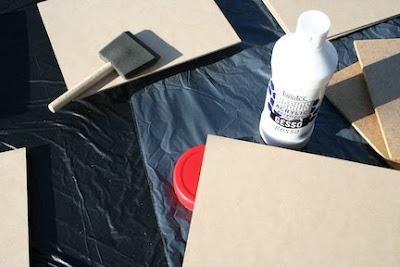 Hardboard or masonite panels are a nice alternative to canvas, canvas paper, or acrylic painting paper as a painting surface. Their advantages? They are inexpensive and untextured (nice when you're painting small). If you buy a large sheet of masonite and cut them yourself, you can also cut them to whatever size you want. 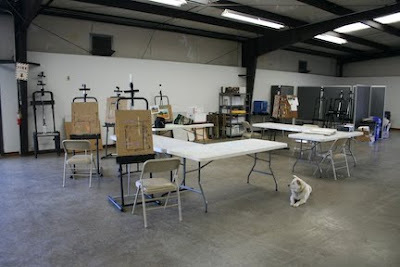 You can also buy panels at art supply stores in pre-cut small sizes. Their disadvantages? Larger sizes needed to be reinforced with cradling, so they don't warp. You need to make sure that the panel is thick enough to be a good support for a larger size, too. Panels also need to be primed with gesso. 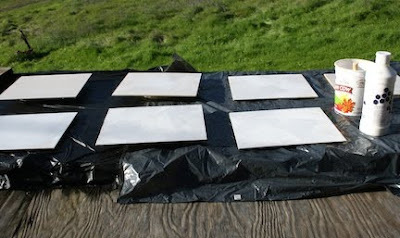 It's easiest to gesso several panels at once. Set up something to cover the surface. Lay down something (here, I've used jar lids and lids for large yogurt containers) on which you can set each panel. This prevents gesso on the side of the panels from sticking to your surface cover. Squeeze out (if it's pourable, like the gesso shown in the photo) or spoon gesso (if it's thick and comes in a jar) onto the panel. Use a brush or sponge brush to spread the gesso across the panel. Do NOT use your good painting brushes, if you can help it. 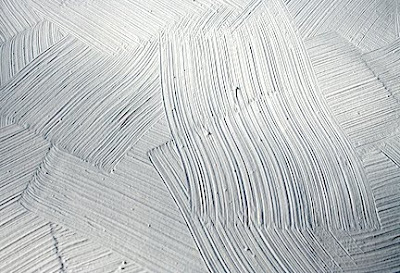 Gesso contains both pigment (here, white pigment) and glues that attach firmly to the surface, and allow your paint to stick to the surface well. It can be a little tougher to clean out of your brush – something you need to do right away once you're through. You may need to thin the gesso a LITTLE with water. Here, on the top you see gesso thinned with too much water. Here, you see irregular brush strokes, creating an interesting texture without the strokes all going in the same direction. You can choose which you prefer. I prefer the irregular strokes. The second coat on this would also consist of another layer of irregular strokes going in all directions. The gesso will flatten out a little as it dries, depending on how thick or thin it is. 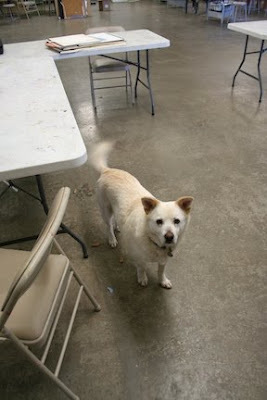 (I've exaggerated the texture in the photos above, so you can see it more clearly.) 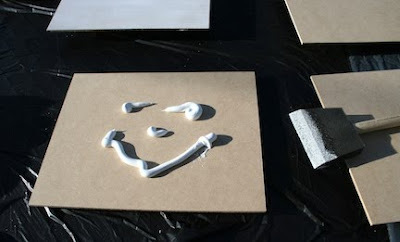 You can also sand each coat smooth once it's dry. You may then want to apply more than two coats of gesso to get the kind of coverage you want. Then let the first coat dry. I always wait at least a day before applying the second coat. 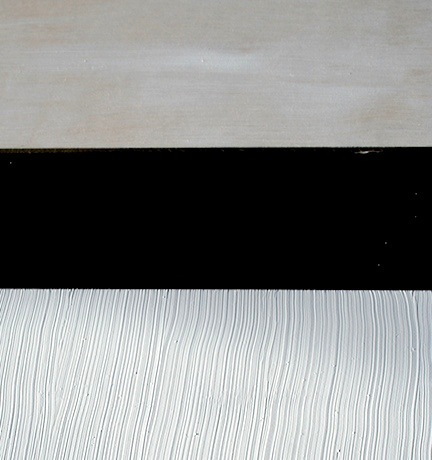 If you wait until it's dry to the touch, the gesso is only dry on the surface, but not yet dry underneath – it's best to add the second coat once the first one is fully dry. Add the second coat, let it dry, and then you're ready to paint. Here, you can see the progression of the process of this painting, from setting up the composition (missing photos of the thumbnails - but I did them); to drawing and adjusting the composition, to blocking in the big shapes of color, to refining those shapes and colors, and addressing values. Here, those dark values have been softened by layers of scumbled color. The edges of dark shadows have been lightened and softened (there were multiple sources of light, explaining why the shadows are spread in more than one direction). I have left the vertical black charcoal line untouched - I like it. It anchors the apples nicely in their place (and divides the space by the Golden Ratio, or the Golden Mean - a blog post for another time - which is pleasing to the eye). There is plenty yet to do - bringing in the highlights on the apples, painting their stems, adjusting the lower left edge, and further refining of the shadows among them. Depending on how much detail I want to get into, I could push this to a very detailed place, continuing to refine it further and further (something I'm not as likely to do, given my inclinations as a painter). This is how a painting evolves!